History Lessons: The Roarin’ Twenties! What was going on in St. Augustine during the twenties, you ask? A whole lot of building! Florida was experiencing an incredible land boom. In St. Augustine, we see the development of Anastasia Island including the construction of Davis Shores, a residential community. It was also during this decade that the Bridge of Lions was built. The bridge was completed in 1927, replacing the wooden, ‘Bridge to Anastasia Island’ or ‘South Beach Railroad Bridge.’ It connected the mainland of downtown St. Augustine to St. Augustine Beach. Our founders, Leonard and Ruth, were born in the twenties. 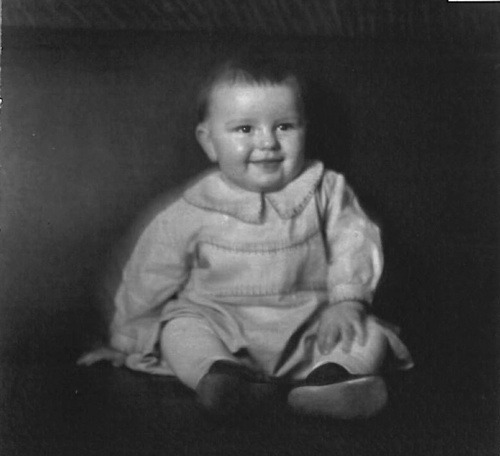 Leonard R. Tucker Sr., was born on April 25, 1922 in Akron, OH. 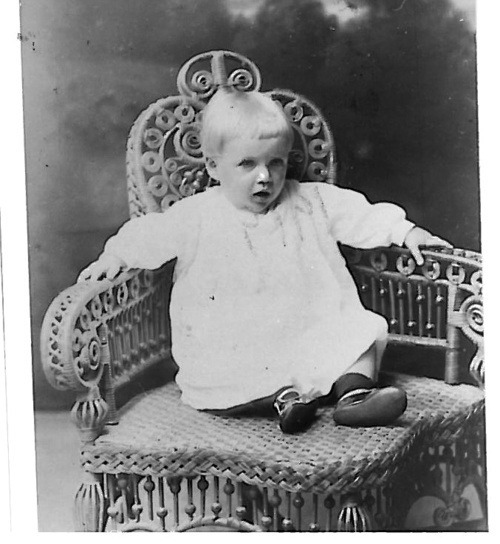 Leonard’s parents, Mary and Hal Tucker moved to Saint Augustine in 1926 when Leonard was a mere four years old. During the depression, Hal would photograph school children and families in the various St. Augustine neighborhoods and sell the photos to their relatives to make a living. Ruth Sigwalt was born on March 14, 1922 in Fayetteville, NC. Ruth’s parents, Cassie Bell and Gustav Sigwalt travelled a lot through their ministry work. However, by the mid-twenties the Sigwalt’s settled in St. Augustine as well. Employee Spotlight: Getting to Know the Leonard’s Team! Last month I interviewed Regan Canada from the Leonard’s School Relations Department. Regan is a huge part of the team. She is incredibly helpful to all customers, schools, and staff. “Regan is simply a superstar! She is one of the best customer service representatives I have had the honor of managing in my fifteen years at Leonard’s. Not only does she have the ability to assist our customers efficiently but she really listens to make sure all aspects of the issue are taken care of, which is not an easy trait to find in a person,” said Claudia Dencer, Director of School Relations and Marketing. Leonard’s is lucky to have her on board. What are some of your daily tasks? I enter contracts, put together schedules, and help provide our schools with the best customer service possible. Our department makes sure our schools, photographers, and sale representatives have all the necessary tools to ensure we have great picture days! Here at Leonard’s we capture memories! What is one memory you are glad you captured through photography? All the pictures of my sister’s wedding! The friends and family that were involved in that special day are some of the best moments to have captured in photos. I paint in my spare time so I like to think that is a special talent! Play an instrument. Guitar or piano would be great! If you could meet anyone, living or deceased, who would it be? Salvador Dali, I can only imagine what it would be like to have a conversation with him! Knowing that I am starting a new day with new possibilities! A picture is worth more than a thousand words. It’s a moment in time in which we can not relive but we can always look at a picture and think fondly of that time. Today’s love it or leave it trend is accessorizing with feathers and fringe. We see feathers and fringe everywhere nowadays and sometimes in the same looks. The key to accessorizing with feathers or fringe and looking great is avoiding overkill. No one wants to look like a flapper on any day other than Halloween. Fringe looks best when it is the only accent in a look. As for feathers, less is always more! I wouldn’t get too carried away with either. Honestly, we kind of dig these looks when they are on their own. Not too big of a fan of feathers and fringe together. What do you think? Do you love these accents or hate them? Leonard’s Studios of St. Augustine, FL is proud to announce the recipients of the second annual Leonard R. Tucker, Sr. Scholarship. Founded in the 1900s by Mr. Tucker’s father, and currently being run by his son, Leonard’s Studio is the largest school photography and yearbook printer in the Southeast. Supporting our local students is something that the Tucker family feels very strongly about. With many qualified applicants, the following recipients were chosen to each receive a one time $1,000 scholarship to be used at the college of their choice. Awardees will be recognized at each individual school’s Senior Award night. Lillian R. Tabyanan of Saint Augustine High School is planning to attend the University of Florida where she will major in Journalism. She will earn her AICE (Advanced International Certificate of Education) diploma this year, and has served as editor of the Jacket Journal newspaper. She is a true leader in the classroom, and enjoys mixing the writing and photography required to be a good journalist. Brianna Nicole Bland of Allen D. Nease High School is planning to attend Florida State University with a major in Communications/Media Production. As a member of the WIRED staff, she will graduate with over 20 college credit hours, and plans to return to N.E. Florida after graduation to work in the communications industry. She is talented and ambitious. Katherine Roderick of Ponte Vedra High School and The Vangard School is planning to attend the University of North Florida or Jacksonville University, where she will major in Digital Media Design and Photography. Katie is a diligent and outstanding student with a passion for photography and digital design. Leonard’s Photography is very proud of the outstanding photos it captures and the wide variety of products it offers. Customers will look at their photos and cherish them, remembering that Leonard’s took those images. However, it is the quality of the Customer Service Dept. that is truly memorable, according to Ali Knoll. In Ali’s role as Leonard’s Marketing Coordinator, she is tied closely to this department. “A good Customer Service Department is everything from efficient sales representatives to friendly customer service team members, going out of their way to ensure a customer’s satisfaction,” Ali said. We have finally made it to 2005 through today! Although we lost our beloved Ruth Tucker in 2007 and then Leonard Tucker Sr. in 2011, Leonard’s continuously made incredible advancements and achieved amazing accomplishments during this time period. In 2006, we installed our second High Speed Digital Photo Printer to handle our increased volume. By 2008, we had installed a brand new CTP System from Screen USA. This system generated 300 medium format aluminum printing plates per day. The pressroom and pre-press departments benefited greatly from the increase in efficiency. By 2009, Leonard’s became the fastest growing business in the state of Florida for high school seniors; an accomplishment achieved two years in a row! Through 2010, Leonard’s continued to grow in the high school senior market at a much faster rate than anyone in the region. 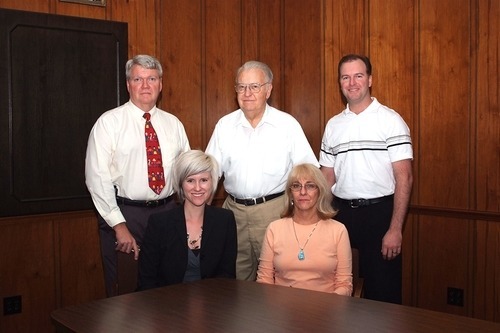 After the passing of Leonard R. Tucker Sr. in 2011, the company was left in the good hands of his family who maintain their traditional core values of handling service on a personal basis: Leonard R. Tucker, Jr., Jean Tucker, Linda Black, Frank Black, Claudia Dencer, and Randy Sellers. Employee Spotlight: Getting To Know Your Leonard’s Team! This week, Leonard’s Ali Knoll got to interview the wonderful Debora Brown! Debora plays a significant role in the overall Leonard’s team. 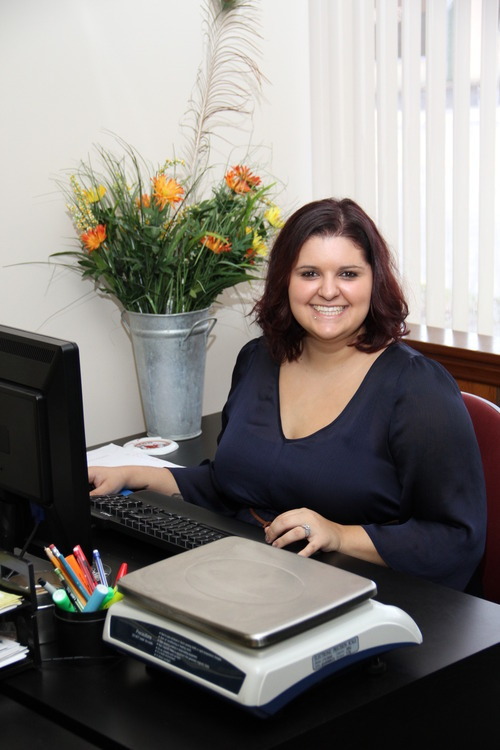 While her role is more behind the scenes, Debora certainly contributes to the success of the Leonard’s main office. 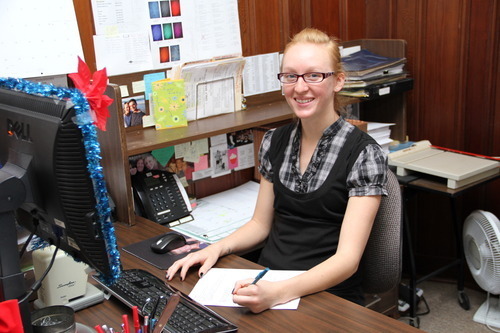 “Deb is such an asset to our office staff. 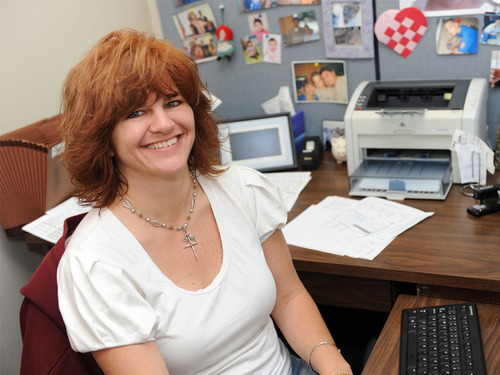 She is very versatile and helps with everything from payroll to payables and receivables. It is a good thing she is so organized, as she wears so many hats!” states Jean Tucker, Leonard’s Treasurer. I’m in a department all by myself! I’m the bookkeeper. Every memory is precious, and it’s hard to pick just one. I’m glad I have photos of our wedding day (16 years ago). It’s nice to look back and see all of our family and friends who shared our special day with us. And then of course 7/28/08…the day our son became part of our family. Dance, since it is definitely NOT a special talent that I possess!